Our sister organization, Mount Madonna Center, has been well-known for the integrity and excellence of its regularly offered Yoga and Āyurveda programs since 1978. 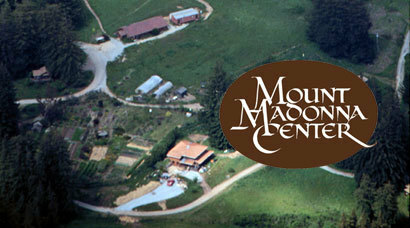 Mount Madonna Institute emerged from that humble beginning and was officially formed in 2006 to formally train and graduate exceptional practitioners who meet modern standards of practice and education set by professional associations in the United States, including the Yoga Alliance and the National Āyurvedic Medical Association. 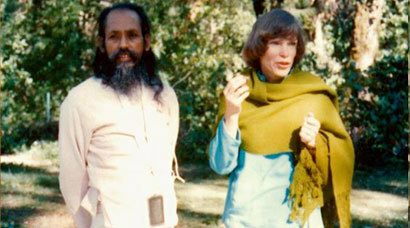 In 1971 some Americans went to India to study Yoga and found their way to a teacher, Baba Hari Dass. They asked him to come to the U.S. to teach, and he agreed. 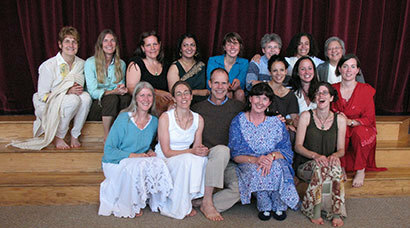 Slowly, by word of mouth, a group grew of people who came to study and practice Ayurveda and Yoga with him. 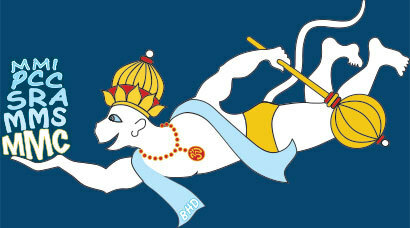 In 1974, that group formed the Hanuman Fellowship, taking the name of an ancient Indian deity representing service and devotion. In 1978, the fellowship founded Mount Madonna Center, a 355-acre mountaintop property. From the very beginning, Baba Hari Dass taught not only Yoga, but also Ayurveda – and these were the first programs we offered, in the summer of 1978 – at the time a science of health and healing little known in the West. In the years that followed, a series of pioneers presented Ayurveda programs at Mount Madonna Center – first Babaji, then Dr. Trivedi, Dr. Svoboda, Dr. Lad, Dr. Singh, and Dr. Shrestha. 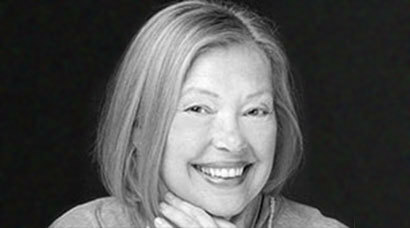 One of the students in one of those first programs (1982) was Cynthia Ambika Copple, who went on to become our founding Dean of the College of Ayurveda. As the Center proved successful and grew, others also obtained Ayurveda training, and slowly a group came together of people deeply interested in starting a School of Ayurveda. In 2005, that group’s vision and energy were strong enough that the decision was made to form a new Institute, featuring a College of Ayurveda. Approvals were obtained, a substantial loan was borrowed, space was set aside for classes, and intense work began on developing curriculum, faculty, administration, logistics, a website, marketing, and an application to the State of California for approval to operate the Institute and its College of Ayurveda. We received approval from the State of California, and, in January 2007, Mount Madonna Institute was approved by the Bureau for Private Postsecondary Education to offer degree programs and admitted students to its first College of Ayurveda Diploma Program. Since that first class entered in 2007, we have graduated many classes of Diploma, Certificate (Practitioner), and Masters Degree students. Mount Madonna Institute has applied for Eligibility from the WASC Senior College and University Commission (WSCUC). WSCUC has reviewed the application and determined that the University is eligible to proceed with an application for Candidacy and Initial Accreditation! The Institute provides theoretical and practical professional education and training in classical systems of Yoga, Ayurveda, and Community. Each School emphasizes self-learning, service, and continuing life-long learning, as well as teaching the ethical and professional standards necessary for developing high-level, meaningful careers. Mount Madonna Institute operates under a governing structure using a Board of Directors. The Board is responsible for directing the Institute toward the achievement of its stated mission and pursuance of established institutional standards. The Board of Directors exercises ultimate authority over all academic and institutional functions and holds ultimate legal control over the Institute. While the Board of Directors is not responsible for the day-to-day decisions of the Institute, it does decide all major policies and issues affecting the educational aspects of the Institute. The Board of Directors is also responsible for the selection and evaluation of the Institute’s President and CEO.